Thom Brennan (born May 31, 1957 in Lubbock, Texas) is an American electronic ambient musician, composer and synthesist. Active since the 1980s with his first album Mountains (1987), he belongs to the scene of Californian pioneers of electronic music. His style encloses the principal traits characterizing the evolution from Terry Riley's and Morton Subotnick's minimalism to the form of electronic new age suite. Thom Brennan's music is realized almost exclusively with synthesizers, with a rare use of samples and without any acoustic instrument. 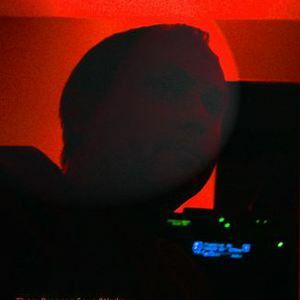 His production consist mostly of beatless soundscapes; however, in a few works which himself calls rhythmic journeys, Brennan employs percussive sounds and, more frequently, rhythmic synth patterns. Inspired by the landscapes of the American Pacific Northwest, Thom Brennans' self produced albums have defined a unique style of soundpainting... A colorful and private world of harmonic tapestries. All this results in a neo-classical ambient impressionism distinguished by a strong visual approach, as shown in albums like Mist (2000) and others he has recorded, starting from 2001. In addition to an ongoing series of solo recordings, collaborations with ambient pioneer Steve Roach appeared on the album Western Spaces, and on the Projekt Records compilation Amplexus Collective. Recordings have appeared worldwide on Rubicon Records, Phonogram, Amplexus / Arya, IC Records, Projekt, Space For Music, Atmoworks, Fortuna / Celestial Harmonies, and his own Raingarden Soundworks.